Enemy of Democracy Mitch McConnell says a bill that would make Election Day a federal holiday is a nothing more than a "power grab" on the part of devious Democrats. I guess that means Mitch doesn't think elections should be accessible to the working class. Bernie Sanders, for one, thinks it's a good idea. If you agree, you can check out Bernie's website and read his "Democracy Day" bill. Robert Reich has responded to Mitch McConnell’s Washington Post attack on HR 1, the House Democrats’ “For the People Act of 2019." Prof. Reich calls HR 1 "the most important effort in recent memory to expand voting rights, encourage low-dollar campaign contributions, end gerrymandering, shed light on secret money and tighten up lobbying and ethics rules." So what's Mitch's gripe? "McConnell reveals that he and the GOP want fewer voters, not more, and they want to enhance the power of big money, not diminish it." For the rest of Reich's rakish repudiation, check out his Facebook posting. For the content of HR 1, click here. Will Senators Feinstein and Harris be backing the Senate's companion bill (which is likely to be an updated version of Sen Udall's "We the People" Democracy Reform Act of 2017? It's hard to see how Sen. Harris could refuse to back HR 1. After all, "For the People" is her presidential campaign slogan. To keep an eye on how Harris (and other DC politicians) are voting, visit the political tell-all site, Vote Smart. Sadly, there was a time when (white) people didn't see a problem with applying blackface makeup. "Just a bit of harmless entertainment." We're all now familiar with the photo from Virginia Governor Ralph Northlam's medical school year book but let's not forget Hollywood's role in racial stereotyping. I'm not just talking about Al Jolson. Here's a still of Judy Garland performing in the 1938 film, "Everybody Sing." In the lead-up to the delayed State of the Union Address, female legislators were being urged to wear white (in solidarity with the Suffragette movement) and there was even talk of an outright boycott. If Donald Trump can walk away from treaties to lessen the threat of climate change and nuclear war, it was argued, Democrats could respond in kind—by walking away from the SOTU Address. Trump recently insulted his intelligence chiefs—whom he previously praised and appointed—because they dared to expose his lack of intelligence. Since Trump is performing for an audience of one and only listens only to the echo chamber inside his head, having to stare at a House chamber filled with empty chairs might prove to be therapeutic (or traumatic, since it might remind him of his Inauguration). I don't expect I'll hear anything surprising, or anything that is focused on real solutions to our nation's biggest challenges. But I know that after Trump has his moment in the spotlight, and after the self-aggrandizement; scapegoating and divisiveness; racist beacons and white nationalist grievances; distortions, omissions, and outright lies—we'll still be able to forge a path forward for America. While the State of the Union gives Trump a highly visible platform for his poisonous swamp-fever-dream paranoia, it also gives the rest of us a chance to plot a way around (or through) him. Trump continually offers proof that he is not genetically inclined to be a leader. A bully, yes. A leader, no. Here's the proof. Whenever he's asked about his strategic expectations about how any social, economic, environmental, political, or international problem will play out, his go-to response is, more often than not: "Well, we'll just have to see what happens." Chug a pint of beer every time Trump uses that line and you might feel less stressed about our shared future. And then you can pass the empty can to Trump so he can kick it down the road. On dealing with the Taliban: "We'll see what happens, who knows…." On leaving Afghanistan: "I'll leave intelligence there. Real intelligence, by the way. I'll leave intelligence there and if I see nests forming, I'll do something about it." On Iran: "[R]ight now they're a country that's in big financial trouble. Let's see what happens." There's much more, but my frontal cortex is starting to melt. The Fusco Brothers cartoon-strip continues to rack up offenses in these sexually charged times. Now, it's not just the four nudniks from Newark who are on the prowl. In a January 31, 2019 Fusco panel, a cartoon judge ogles a blond woman (whose low-cut dress reveals some significant cartoon cleavage) and utters the invitation: "Mi chambers, su chambers." Instead of apologizing, the strip's fans actually celebrate the Fusco's verbal misbehaviors. The go-to cartoon site, GoComics.com, even has a special archive called "The 10 Worst Pickup Lines Uttered by The Fusco Brothers.'" These include a panel where Al Fusco threatens a date: "You know, if you're not nice to me, I can pull a few strings and arrange it so that you look ugly when this encounter shows up in the comics." In a 2016 panel, Rolf Fusco hovers over a woman inside a darkened room and says: "I'm currently working on my autobiography. Would you care to help make page 327 interesting?" What's really aggravating is that the Chronicle has chosen to place the Fuscos at the top of its daily comic lineup—ahead of 22 other strips. While it may be too much to call for the complete deFuscofication of the comic pages (the strip was dropped once before but popular outcry brought it back), the Chron's editors could at least dethrone it from its current position as the lead-off comic. A quick-fix could be as simple as elevating the two adjacent single-panel offerings—Bizarro and Dennis the Menace. Whatever the solution, The Chronicle should pay heed. The #MeToon movement will not be denied. Who knew? 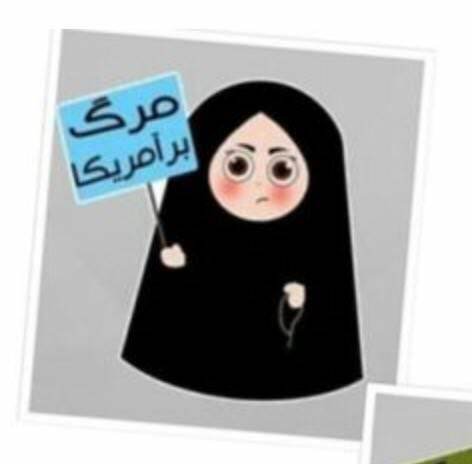 Iran has a "Death to America" emoji—and it looks like a character from South Park. Kinda cute, actually. On January 30, Rep. Adam Schiff (D-NH) sent out an email blast on the economic hit the country took from Trumpmageddon—"the president’s temper tantrum" and the federal shutdown that followed. Schiff noted: "The nonpartisan Congressional Budget Office calculated that President Trump’s 5-week shutdown cost the US economy $3 billion in unrecoverable economic activity. That’s $3 billion down the drain." Juan Guaido's self-nomination to become the "unelected democratic" leader of Venezuela (after receiving a go-ahead phone call from Vice President Mike Pence) has triggered some copycats. "I declare myself President of the USA. Send me your taxes. And I'm giving Tucson back to Mexico." Lee Camp, host of Redacted, an acerbic, weekly, left-wing newcast, recently made a similar public announcement, declaring that he had just nominated himself to be the new governor of Idaho. Camp's obscenity-laced rant on a recent episode of Redacted is right on—and viewable right on RT. Apologies for the language but—profanity be damned—I'm posting it anyway. Don't just take a left-wing comic's word for it: Here's the truth from the mustachioed mouth of Trump regime-changer, Revoltin' John Bolton. The MSM (Mainstream Media) continue to list the US-aligned governments supporting Guaido's presidential usurpation but seldom mention the countries (including Bolivia, Cuba, Mexico, Nicaragua, and Uruguay) and international organizations (such as the Organization of American States and the United Nations) that continue recognize Maduro as the country's legitimate leader. It's hard to source facts on crowd size. One press report admitted "it was hard to tell which side's crowds were larger" while another report said the turnout at Maduro's event "was larger than expected." The so-called "American Dream" is rooted in the belief that certain individuals are born superior and are thus more entitled to wealth and privilege. The concept of "biological determinism" underlies some of America’s most appalling history—and Trumpism is fueling its return. A new documentary, A Dangerous Idea: Eugenics, Genetics and the American Dream, reveals how biological determinism has been used to marginalize women and disenfranchise people of color. The 18 women and men interviewed include Van Jones (activist and CNN political commentator), Robert Reich (UC Berkeley Chancellor's Professor of Public Policy), Ignacio Chapela (UCB Associate Professor of Microbial Ecology), and Troy Duster (UCB Chancellor's Professor of Sociology and author of Backdoor to Eugenics and White-washing Race).